One of the fundamental problems with transport planning in Australia is that politicians see it as demand-led, when basically transport systems are supply-led. Demand-led thinking has them looking at congested roads and thinking “we need to build another one”. Supply-led is why they fill up. Provide options and people will use them. In general they’ll use the easiest/quickest option available. Built it and they will come. This is how transport systems work: through induced demand. It’s easy to see why demand-led thinking motivates action and funding. It’s very visible. Road congestion is obvious when you see it. Public transport crowding is obvious when you see it. And it’s also easy to see why politicians feel they have to try and fix those issues. The problem comes in how they try and fix them: providing more of the same is not always the best answer. Experience around the world shows this isn’t true. Travel times from road expansion don’t last — see Citylink Melbourne. “But we have to drive!” they say. Yes, you have to drive because 80 years of investment in roads, with peanuts for alternatives has given you little choice. Every new investment in major roads makes this worse, and misses an opportunity to provide alternatives to give you choice. The State Government could be funding Metro 2 (the rail tunnel linking Newport and Clifton Hill via Fishermans Bend and the City) and related projects such as fast frequent feeder buses, to massively boost public transport services from the west (alongside the logical, relatively small truck route they took to the 2014 State Election), but instead they now want the Transurban-led West Gate Tunnel. Major roads are, by their very nature, inefficient. Vicroads data shows that lane occupancy is just 770 people per hour in AM peak, around 840 in PM peak — though this doesn’t show separate figures for motorways. For the sake of argument, let’s assume motorways are about double that, with 1800 — closer to a theoretical perfect driving scenario of a vehicle every 2 seconds. Even 1800 is not very many people. If you try to solve congestion with another road, or more lanes, it doesn’t take many vehicles to clog it up again, and you’re back to square one. Rail can’t move everything, but it’s far far more efficient for moving people, which is what accounts for most vehicles on the roads. Adding 1800 people is just two additional trains — about a 10th of the capacity of a rail line with old conventional signalling. This means rail expansion is long-lasting. If managed well, extra tracks or a new line can handle huge numbers of people. Roads get less efficient the more people use them: more space encourages more people, and congestion slows everybody down. If the response from government is more roads, we have a vicious cycle. Public transport gets more efficient the more people use it: more passengers justifies more frequent services, which cuts waiting times and makes connections easier, and encourages more users. A virtuous cycle. So the next time a politician talks about transport, consider whether they’re just bleating rhetoric, or they’re showing an understanding of how transport systems work. We have to build more roads because people are driving! No, people are driving because we build more roads. We have to build more roads because of population growth! No, we only have to build more roads if we want more people to drive. If you want them to walk/cycle/PT, then provide that instead. This motorway will be city-shaping! Yes, but unfortunately the shape it will be is more car-dependent. This motorway will be a congestion-buster! No, it will just generate more traffic. They always do. More reading: I don’t think the debate should be about congestion. It shouldn’t even be about mobility. It should be about access to opportunity: jobs, education, amenity. The Sustainable Cities campaign (a joint project of PTUA and affiliated groups) has an event at 8am Tuesday at State Parliament — come along to hear about a broad community transport vision to provide Melbourne-wide sustainable transport options for the future. Update: see getonboard.org.au. Next → Next post: What is Metro 2? While 2.6bil isn’t insignificant, it is used to unlock and larger $4bil that otherwise wouldn’t be available. In an ideal world the Govt would further extend road tolling to cover the cost of new and existing roads (and those extensions would be granted to the highest bidder at auction), and these type of upfront payments would not be required. Unfortunately with the backlash against this extension in tolls I fear we are more likely to see more tricky financial deals that charge all taxpayers rather than road users while making it look like we have gotten something for nothing. Do we really want more terrible terrible deal like the Peninsula Link one? It is a mirage for motorists in the SE of Melbourne to think that after 2035 there would be no tolls for the Citylink tunnels. Firstly the operating costs (such as maintenance) are high, so it is unlikely to be a completely free road. Secondly, if it were free the traffic would completely overwhelm its capacity, because it would not be rationed by price, but instead by waiting time. 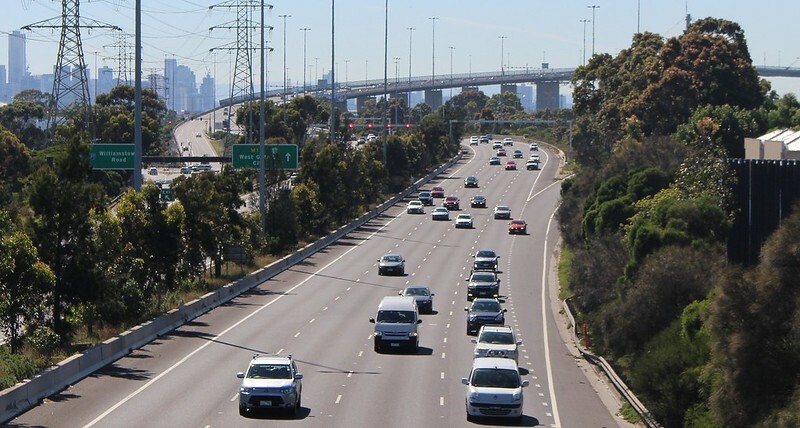 The best outcome the public could expect if the Transurban deal is not extended is that it returns to public ownership but tolls continue, to cover maintenance and other public projects. @ Malcolm agree 100%, hopefully by that time road network pricing is introduced and demand is managed to deal with congestion without needing to build more roadways. @Marek agree as well toll road companies basically provide infrastructure and customers are willing to pay for it. Many successful transit cities (Hong Kong, Tokyo) also have extensive expressways used for freight and private transport users that cannot easily use public transport. We also have very high levels of obesity and sedentary populations. We’re building roads and neglecting walking and cycling, and it’s quite literally making us sick. Is this what we want? No. So why is the Andrews Labor Government giving it to us? Those tolls, just make the trip by road, as being less competitive against rail. Anything that makes rail more attractive is great. Adding 85000 migrants each year doesn’t help. If we minimized the ponzi population scheme then we wouldn’t be playing infrastructure catchup all the time. And the ol “our population is getting older” furphy is made worse by the fact that migrants also get older, adding to the problem. 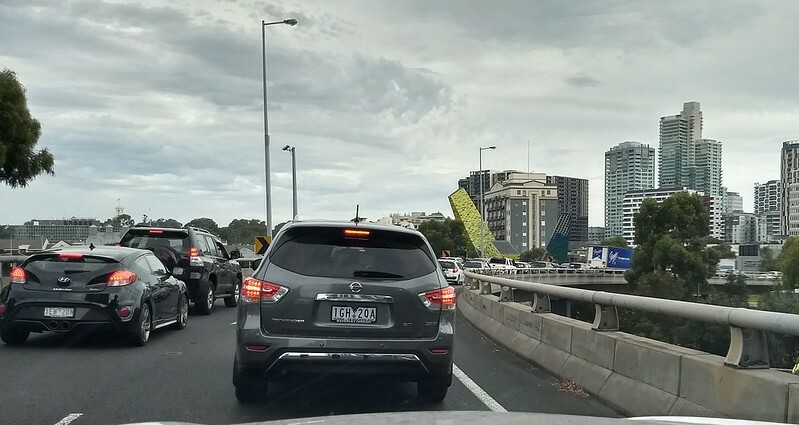 While all of the Transurban funding would not necessarily be available if building a road I struggle to envision a world where private companies wouldn’t throw their hat in the ring to build this with capital up front – assuming that is the issue – as long as there was appropriate ways for them to recoup. There is nothing to say that a metro line for example couldn’t have a proportion of the fare from each user paid to a private company out of the myki takings until x amount is paid back (ie. a toll). I don’t believe the issue is funding – it’s lack of willpower and vested interests. Very few people believe these road projects are going to help and they aren’t voting for them – but they’re still getting built. When it comes to NELA options I prefer Option X: either cancel the whole idea and be $30B better off or at least delay it for 10 years and see how the future of transport is stacking up. If cars will be unusable in a dense city with another 1.5 million people in it then NELA would be just for freight and tradies and may be there is a better cheaper way to help them to their destinations. Try putting active transport and trains as first priorities, and do not consider roads until we adopt and implement the latest European vehicle pollution standards, electrify our car and truck fleet. Driver-only car for transport makes no sense environmentally or economically, with only 1% of the fuel energy actually moving the human body. If transport indeed is getting better, and they are using taxpayer’s money wisely, that makes me a happy camper.